Part of a month-long celebration of Robert McGinnis’ book covers. 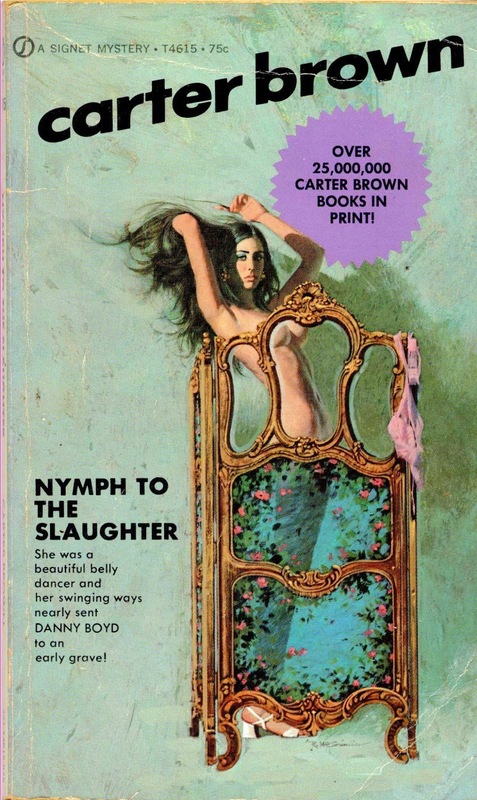 Nymph to the Slaughter, by Carter Brown, né Alan G. Yates (Signet, 1971). Art Scott notes in The Art of Robert E. McGinnis (Titan) that the Brown crime novels represented “a high point in McGinnis’ paperback career. He painted an even one hundred covers, from 1961 to 1972.” You can see other covers from the Carter Brown oeuvre--many featuring McGinnis’ artwork--by clicking here. HOUSE OF SORCERY is my favorite McGinnis/Carter Brown cover.